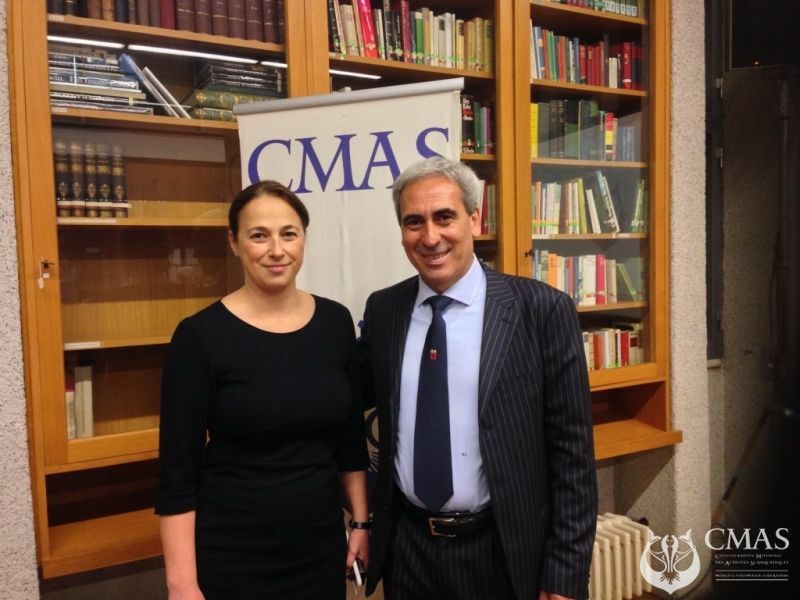 Anna Arzhanova will lead CMAS (the World Underwater Sports Federation) for another 4 years. The General Assembly, held in Rome on April 27th, unanimously re-elected as President the 47 years old Russian. “I am very happy for this result – Anna Arzhanova said - which acknowledges the good job done over the past four years. I want to express my heartfelt gratitude to all member federations that have confirmed their trust in me. It is a strong encouragement to continue working with the same passion and devotion for CMAS and with all CMAS stakeholders, on both a National and International level. In this regard, I am grateful to Dr. Raffaele Chiulli, President of UIM (Union Internationale Motonautique) and of ARISF (the Associaton of the International Sport Federations recognized by IOC) and Vice-president of SportAccord, for having pleased us with his presence and opening speech today”. Arzhanova has been elected few weeks ago ARISF Vice-president. 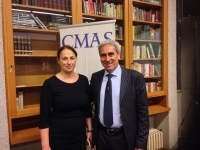 Anna Arzhanova has been elected as CMAS President in April 2013 during the General Assembly in Philippines. After the withdrawal of the other two candidates, the 65 delegates in Rome (on the 86 eligible) confirmed Arzhanova as their leader. 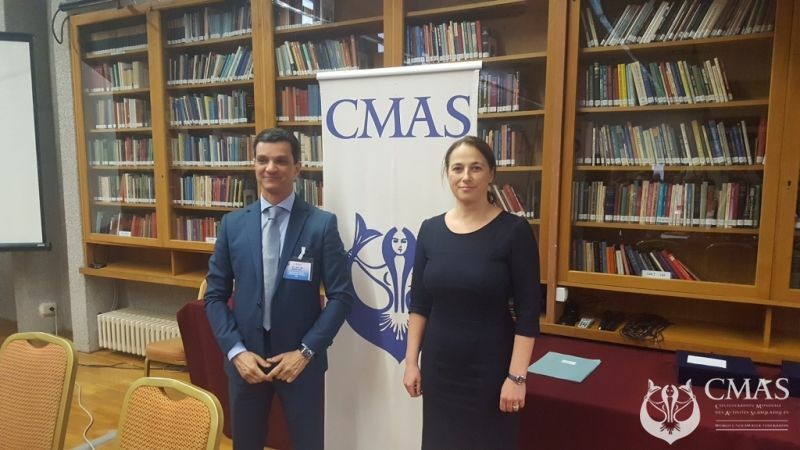 And Chiulli added: “I wish to congratulate my dear friend and colleague Anna Arzhanova for the renewal of her Presidential mandate at CMAS, which couldn’t be more deserved. We have been working together during the past two years at ARISF and I have had the privilege of appreciating her capabilities and team spirit. 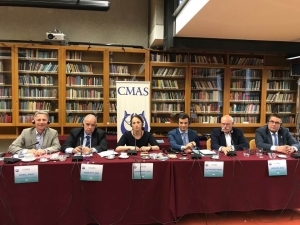 I am pretty sure that under her Presidency, CMAS will reach further successes and validly keep on contributing to the development of sport at any level”. 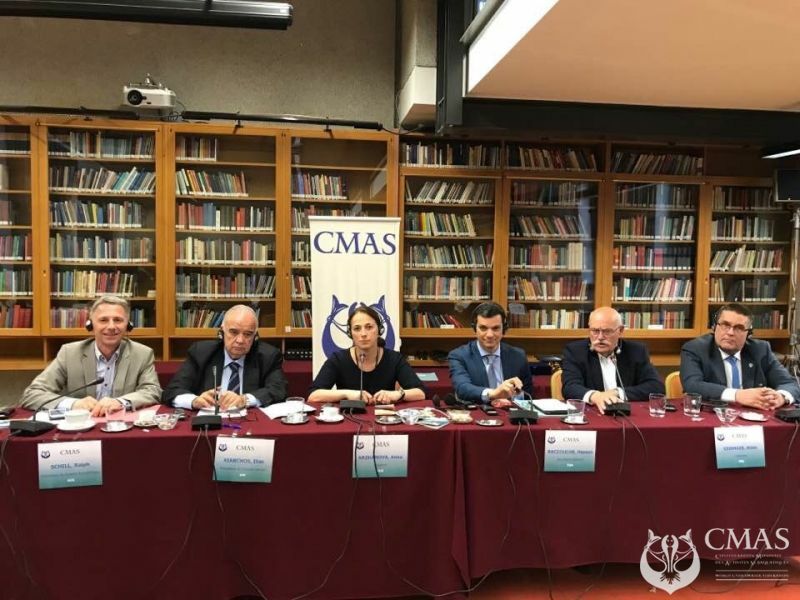 The CMAS General Assembly also appointed the Presidents of the committees. German Ralph Schill was elected President of the Scientific Committee, Greek Ilias Xiarkos for the Sports Committee and Danish Holm Flemming at the Technical Committee. General Assembly also elected the new board of directors: Hassan Baccouche (Tun), Jean-Louis Blanchard (Fra), Alain Germain (Fra), Simon El Khoury (Jor), Sameh Nabil Elshazly (Egy), Michael Frenzel(Ger), Ricardo Josè (Por), Francisco Alberto Lacase(Arg), Byungdoo Lee (Kor), Claudio Nolli (Ita), Kevin O'Shaughnessy (Ire), Bozana Ostojic (Ser), William Pena (Col), Andres Sureda (Esp), Shunji Yoshizawa (Jpn)Were present during the GA Former President Achille Ferrero, Dr. Michel Leglise and M. Umberto Pellizzari. The BoD 196 and 197and other meetings (Sports-Technical-Scientific - Antidoping - CMAS America - CMAS Africa - CMAS Europe - CMAS Nordic and CMAS Mediterranean) also took place.